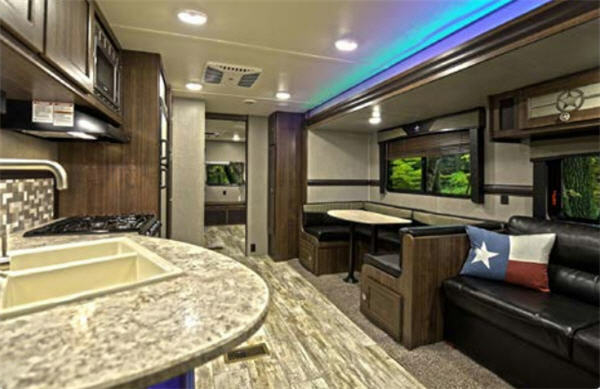 These Longhorn travel trailers were carefully designed to welcome you to the adventure of camping! Each of these units offer great features that are typically found on higher end units. 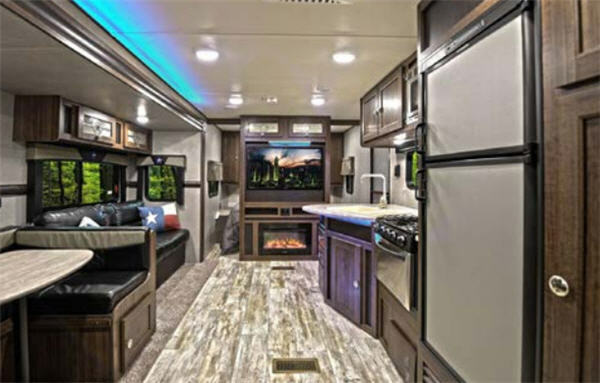 You will enjoy many wonderful standards that also include things like an aerodynamic front end, doors that separate living areas from the bedroom for optimal privacy, as well as diamond plate protection on the front of the trailers, and more. You can select from three different models with each featuring at least one slide out for added interior space. Model 328SB features two nice slides along with a private bunkhouse. This unit sleeps nine or ten! 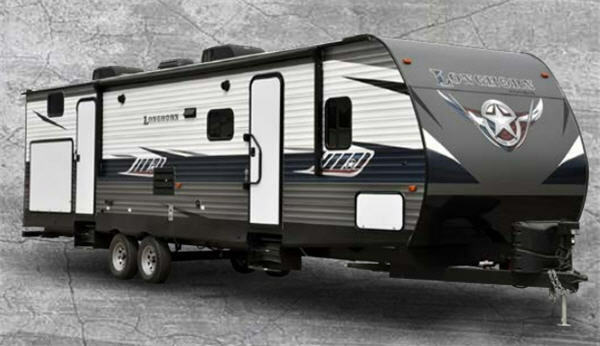 Come make your selection today and join the CrossRoads family with your new Longhorn travel trailer purchase today!